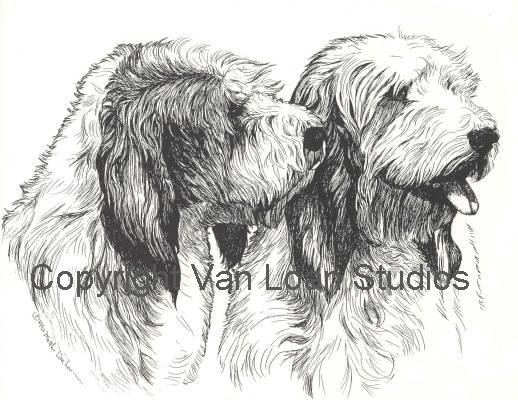 Home > Hound Group > Petite Basset Griffon Vendeen "Pair"
A Limited Edition Print by artist Martha Van Loan depicts the beautiful heads of the PBGV. Each 11x14 Print is signed and serially numbered by the artist in pencil. Mats and Frames, 16x20 sizes, are available in our Framing section and this combination will make a lovely gift.